Narberth Town are now doing a regular Litter picks to make sure the town is kept clean and tidy. 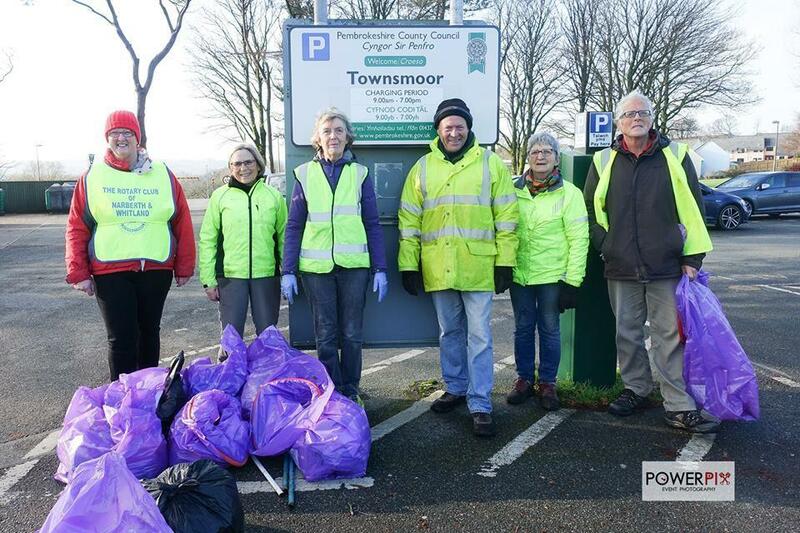 8 volunteers turned out recently including two Rotarians From Narberth & Whitland Sue Davey and Mary Adams along with Town Councillor Cllr. Vic Dennis. These litter picks are being done regularly now and 10 bags were collected last Sunday morning. Bottles and cans were sorted for recycling. More volunteers are needed. The group met at Narberth Bloomfield centre. Announcements will be made in the press regularly announcing forthcoming Litter pick dates. These are usually on a Sunday.